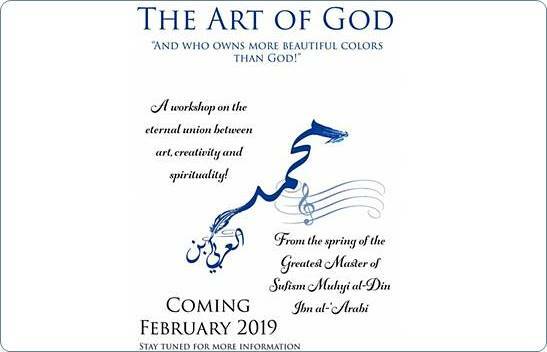 “The Art of God” is an online workshop on the eternal union between art, creativity and spirituality from the spring of the Greatest Master of Sufism Muhyi al-Dm Ibn al- Arabi. Instructor: Dr. Ali Hussain. PhD in Islamic Studies and creative writer. O Perfection lies beyond our origin, yet within our grasp. The source of the force and a poet’s advice. O The affair is all perplexity, and perplexity is life. In the dream world and a space between. O How love longs for nothing. Love is a forgotten sight and site.